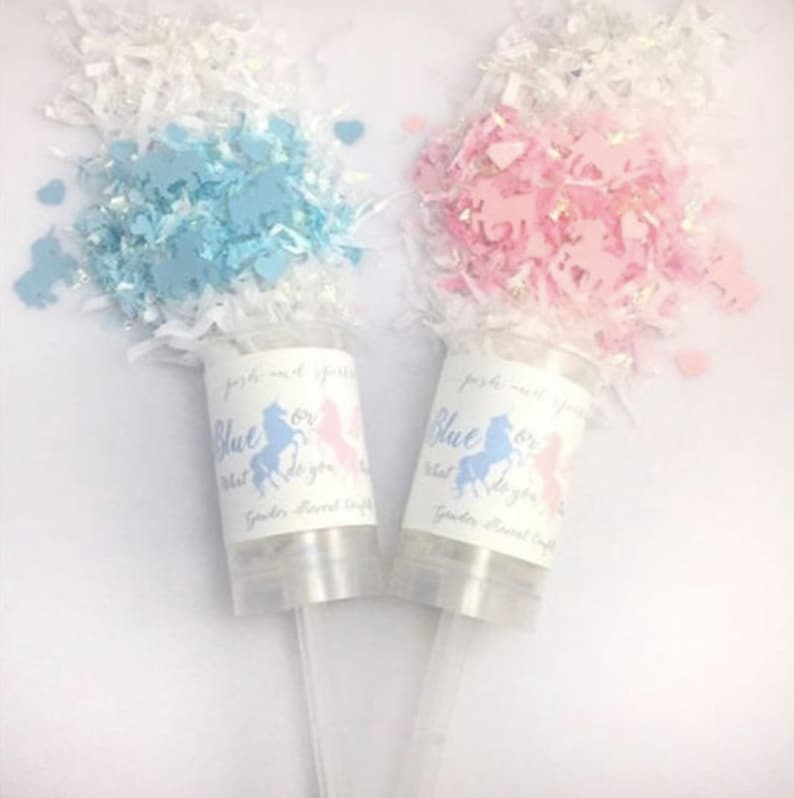 Your unicorn theme gender reveal party is complete with our Blue or Pink What Do You Think Gender Reveal Confetti poppers! 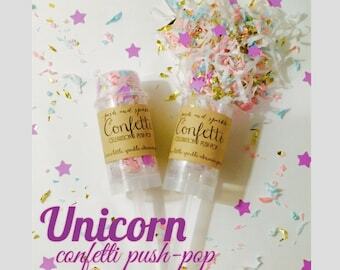 Featuring whimsical pink or blue unicorn confetti, your guests will have a blast popping them at the end of a countdown, and just think of the awesome video it will make! 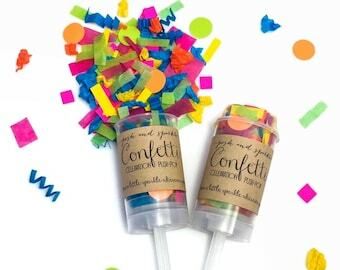 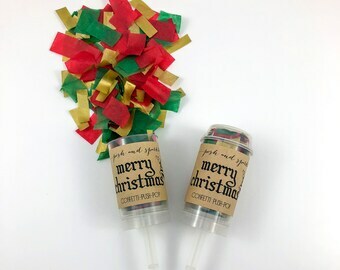 Simply remove the lid and push the stick up with the palm of your hand for a wonderful, harmless explosion of confetti! 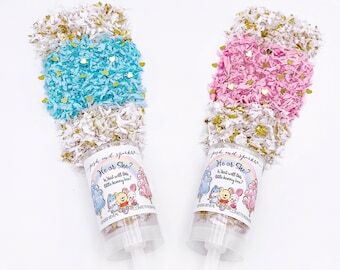 🎉Each end is filled with white tissue streams & iridescent foil pieces and in the middle there are baby pink unicorns and hearts & baby pink confetti shred and iridescent foil (for a GIRL) OR baby blue unicorns and hearts & baby blue confetti shred and iridescent foil (for a BOY). 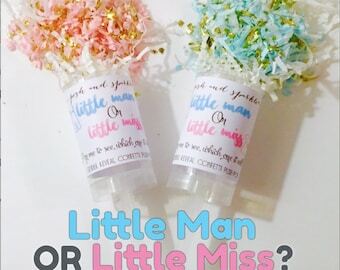 🎉Label has blue and pink unicorn images and reads: "Blue or Pink What do you think? 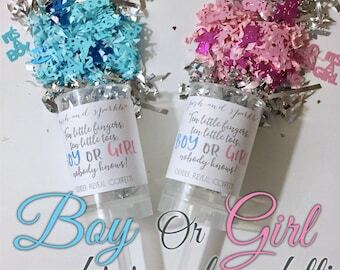 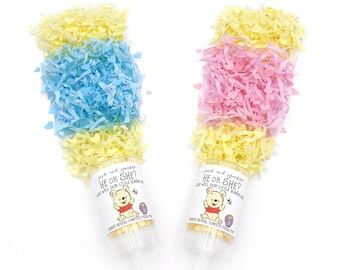 Gender Reveal Confetti"